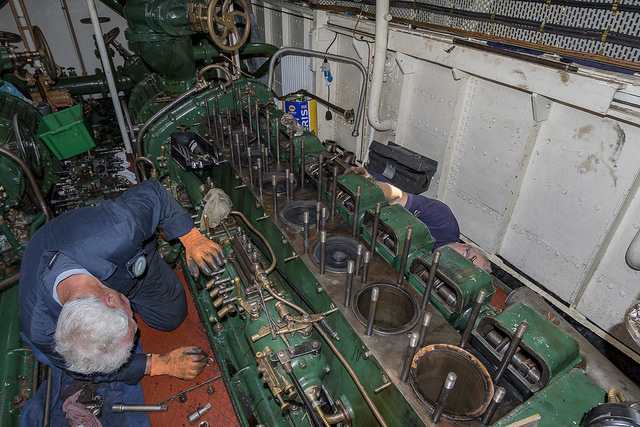 The starboard engine has seized after the disintegration of one of the cylinder heads. 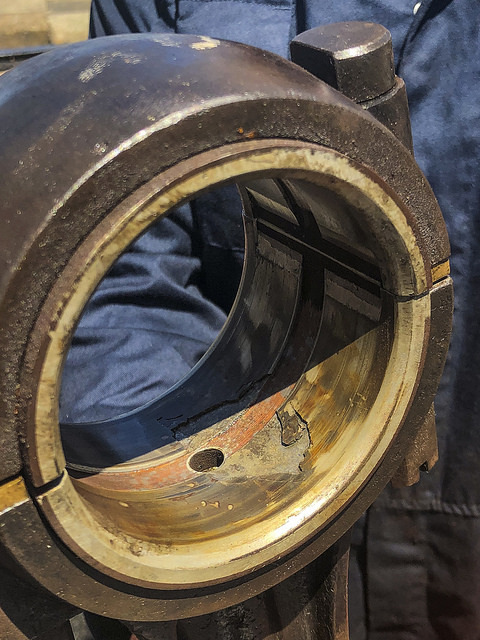 There was considerable damage to the piston and a large amount of debris circulated through the engine. At present we are not sure of the extent of the damage and, despite extensive strip down, the engine is currently still seized. rebuild the air start system. It is possible that we will also have to replace the crankshaft. Depending on the final extent of the damage, it may be that the engine goes beyond the point of repair and will need to be replaced. In this event, it is likely that we will need to source and transport a pair of engines (possibly from overseas) and fit them (it is normal for engines to be sold as matched pairs). As much of the work as possible will be done by volunteers. However, professional support will be required to complete the more challenging elements of the task – particularly those requiring specialist equipment. This assistance will also need to be paid for. We simply do not have the funds available to undertake a task of this magnitude and that’s why we are asking for your help. If you're able to make a contribution please use the tools provided on his page and then share this link with your friends/family and work colleagues to help us reach our target! 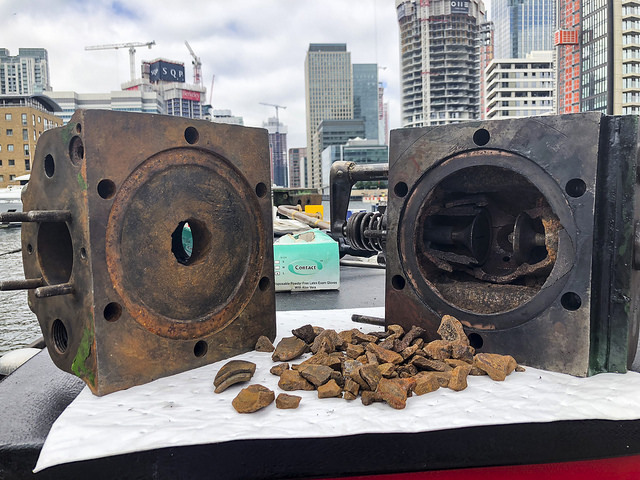 We believe that the boat is worth saving, and worth keeping in operation, not least because of her history, but also to bring to life parts of London’s history for current and future generations. If you know of anyone with specific skills in this area (marine, or diesel engines) any help would be appreciated! 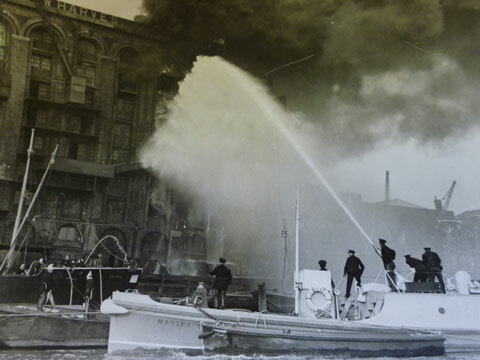 The Massey Shaw is a 1935-built London fireboat, which saw service on the Thames from 1936 – 1971. During that time she fought major waterfront fires on the river and throughout the docks; was part of the ‘little ships’ fleet evacuating over 500 troops from the beaches of Dunkirk; and played a major role in the saving of St Paul’s Cathedral after heavy enemy bombing during the blitz. On retiring from active service in the 70’s, she lay at a number of central London moorings until rescued by enthusiasts, who established a Trust to restore, operate and maintain the boat. After years of effort, the work culminated in a successful application to the Heritage Lottery Fund which provided the finance for a £1.2m restoration of the vessel which was completed in 2014. Since the restoration to full operational capability, she has participated in events up and down the Thames as diverse as the Lord Mayor’s Show, the Gravesend Riverside Festival and the Commemoration of the Great Fire of London. Further afield, Massey has visited Ramsgate, Dunkirk, Ipswich and Chatham. remove debris from the entire engine and ancillary equipment; replace all the bearings due to debris damage; replace most of the cooling system/water jackets; remove and repair or replace the clutches (there are two on each engine – one for the drive shaft and one for the pumps) and flywheels; rebuild the air start system. It is possible that we will also have to replace the crankshaft. Depending on the final extent of the damage, it may be that the engine goes beyond the point of repair and will need to be replaced. In this event, it is likely that we will need to source and transport a pair of engines – possibly from overseas) and fit them (it is normal for engines to be sold as matched pairs).
. However, professional support will be required to complete the more challenging elements of the task – particularly those requiring specialist equipment. This assistance will also need to be paid for. The Massey Shaw is a 1935-built London fireboat, which saw service on the Thames from 1936 – 1971. During that time she fought major waterfront fires on the river and throughout the docks; was part of the ‘little ships’ fleet evacuating over 500 troops from the beaches of Dunkirk; and played a major role in the saving of St Paul’s Cathedral after heavy enemy bombing during the blitz. A real piece of British history that deserves to be preserved and valued. Keep up the good work. Can,t let the small boats of Dunkirk be forgotten. I am sure "Every little helps " here is my little bit.